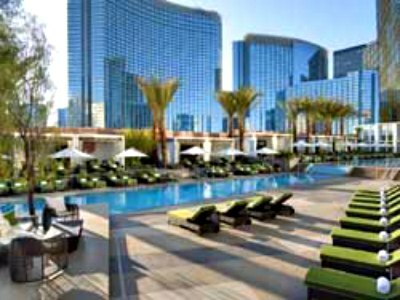 The Mandarin Oriental Hotel Las Vegas is situated in the heart of the famous Las Vegas Strip within the CityCenter. This twenty-two story property offers luxury at its finest. The Mandarin Oriental Hotel Las Vegas has a small number of rooms and suites compared to Las Vegas mega resorts and this hotel feels more boutique than corporate owned. There are four different room styles and eight different suites that all offer a sensible floorplan as well as all the amenities of a Three Forbes Five Star Award property. The décor is a sleek modern urban with a dash of Asian influence throughout. The facilities are fresh and inspiring with big views of Sin City. Chef Pierre Gagnaire’s Twist and the Teahouse are just two of the exciting restaurants at the Mandarin Oriental which offer tasty innovative cuisine and include spectacular views of the Strip. The 8th floor pool area is perfect for sun with two lap pools and the Spa at the Mandarin Oriental will sweep you into bliss. Centrally located you can easily hit all the top shopping areas as well as the shops at the CenterCity. Mandarin Oriental’s luxurious attitude will leave guests wanting a butler and maid at home. The Mandarin Oriental Hotel Las Vegas has plenty of accommodation options for the patron that includes luxury at its finest. There are a limited number of rooms (335) and suites (57) making this more of a medium sized boutique hotel with all of the amenities a person would want. The Standard Rooms are large at 500 square feet and are located on the lower level floors. These rooms offer sleek urban décor with a small sitting area, an interactive entertainment center, goose down bedding, complimentary robes and a beautiful bathroom area that includes dual sinks, a whirlpool tub as well as an oversized shower. There are two other similar rooms, the Cityscape and Strip View Rooms that offer the same luxury as the Standard Room but include a wonderful view of Sin City. The Mandarin Premier Rooms are 650 square feet and located throughout all floors of this 22-story complex. The rooms have a partitioned work desk area, a larger sitting area, an interactive entertainment center, exquisite toiletries and goose down bedding. The bathroom is perfect with a dual sink vanity, whirlpool tub, separate oversized shower and complimentary robes. There are eight different suites at the Mandarin Oriental Hotel Las Vegas that range in size from 765 square feet to 3,100 square feet. Each suite is unique in its sleek urban design and décor. The Junior Suites are located on the lower levels and sport a triangular floorplan with a large living area, a separate sitting area in the master bedroom and a walk-in closet for your wardrobe. The master bathroom is spacious with a large tub, a separate shower and a large dual sink vanity. Located on the upper floors in the hotel The Strip View Suites are similar in size and floorplan as the Junior Suites and have large views. The Cityscape Suites have a unique floorplan with large windows, a separate living room, a large interactive entertainment center, a spacious sitting area in the bedroom, a working area and a walk-in closet. The bathroom has a large whirlpool tub that divides his and hers vanity’s. The next two styles of suites are the Dynasty and the Apex and are located on the upper floors allowing for dramatic views of Las Vegas. The Dynasty Suite has a full kitchen, a walled dining room and a living room with a half bath and a wet bar with stools. The bedroom has a small sitting area, a large walk-in closet, dual sink vanity, an oversized whirlpool tub and separate shower. The Apex Suite has lots of glass and windows that will surely please your senses and the bedroom of this suite has a 270-degree panoramic view. 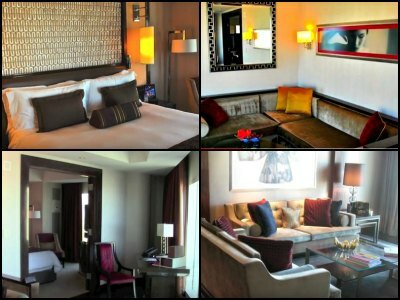 The last three types of suites are also located on the upper floor of the Mandarin Oriental Hotel Las Vegas. The Taipan, Emperor and Mandarin Suite all boast over 3,000 square feet of pure luxury in a sleek contemporary décor with an Asian influence. All of these suites have a similar floorplan that includes an expansive view, dining room, kitchen, small study, an open living room with a wet bar and a half bathroom. The first bedroom has a sitting area with a full bathroom of amenities. The master bedroom has a large sitting area, a work desk and a fitness space. The bathroom has a walk-in closet a huge soaking tub, dual sink vanity, separate shower and an additional tub. 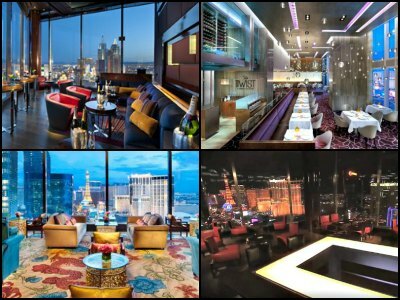 The Mandarin Oriental Hotel Las Vegas has exceptional dining options that all provide a beautiful view from every table. The Mandarin Bar has a great upscale feeling for that relaxing conversational drink and tapas; the Teahouse is a great place for a cocktail or cup of tea or even attending the traditional Afternoon Tea event; the Pool Café has new ideas on American dishes and the Twist by Chef Pierre Gagnaire is an exquisite setting to enjoy modern French cuisine and view the gorgeous Sin City skyline. The Mozen Bistro located on the third floor of the Mandarin Oriental Hotel Las Vegas has the perfect brunch served only on Sunday’s from 12:00 P.M. until 2:30 P.M. The menu is eclectic with a seafood station that has crab claws to oysters. The salad station has all of your favorite toppings as well as specialty items. The sushi station has all of your favorite rolls and sashimi. There is also a cheese and salami selection for grazing as well as a live grilling station that includes Dim Sum. The brunch also features traditional dishes from signature waffles to eggs benedict to potato gnocchi. You can add an unlimited glass of champagne to complete your lazy Sunday. Located on the 8th floor of the Mandarin Oriental Hotel Las Vegas the pool area is quite relaxing. This area has a contemporary décor with lots of colors and plays soft music for a tranquil atmosphere. There is sufficient space to lounge around both of the lap pools, the Jacuzzi and the plunge pool. There are couches on an elevated and several unique poolside cabanas available for rent which includes a personal attendant. The Pool Café has simple to luxurious poolside cuisine that is innovative and tasty. 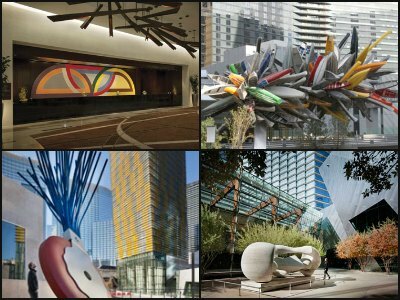 The Mandarin Oriental Hotel Las Vegas is located within the CityCenter that holds the first and only private art collection in a private space in Las Vegas. The CityCenter Fine Art Collection contains an array of art work from artists like Maya Lin and Nancy Rubin. This fine art collection is also the largest corporate art collection on exhibit and is featured throughout the many shops and boutique hotels located within the CityCenter. The Mandarin Oriental Hotel Las Vegas has some of the best space in Las Vegas for a wedding. Expert wedding planners will assist you in all of your decisions leading up to that special day. 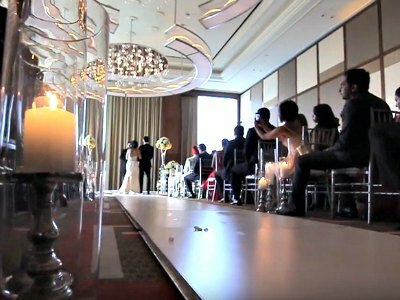 There are special packages available that include ceremonies from poolside to an elegant event in the opulent Oriental Ballroom with its huge view of the Strip. 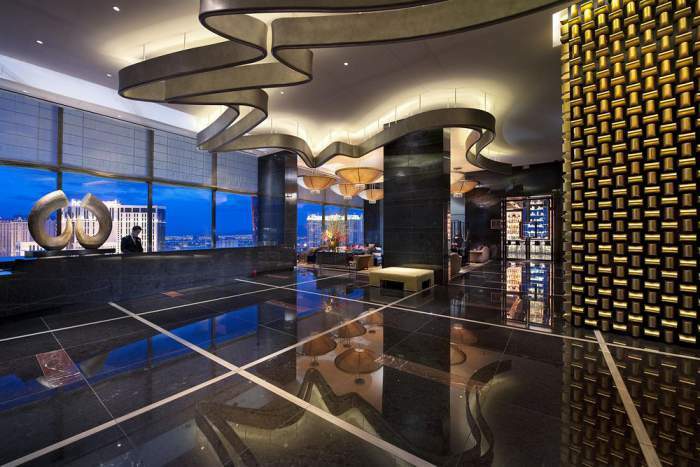 The Mandarin Oriental has the perfect setting to accommodate groups from 10 to 300 guests. The personalized service will impress you and your guests during the most important moment of your life. 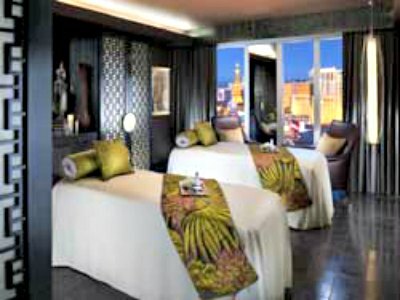 The Spa at Mandarin Oriental Hotel Las Vegas has the perfect area for you to relax, rejuvenate and recharge your body. The Asian influenced décor will transport you back to a time in Shanghai of extreme luxury. The 27,000 square foot area is complete with separate men’s and women’s relaxation space that include amenities like a vitality pool, ice fountains and steam rooms. There are seven private rooms for massages, three suites offer a private steam room and soaking tub and there are seven more suites for couples to enjoy. Packages include treatments from foot massages to clay body wraps or you can mix and match your favorites.